A stylish recycled cotton tote to take with you to your local farmer's market or grocery store or to simply carry around your daily "things". 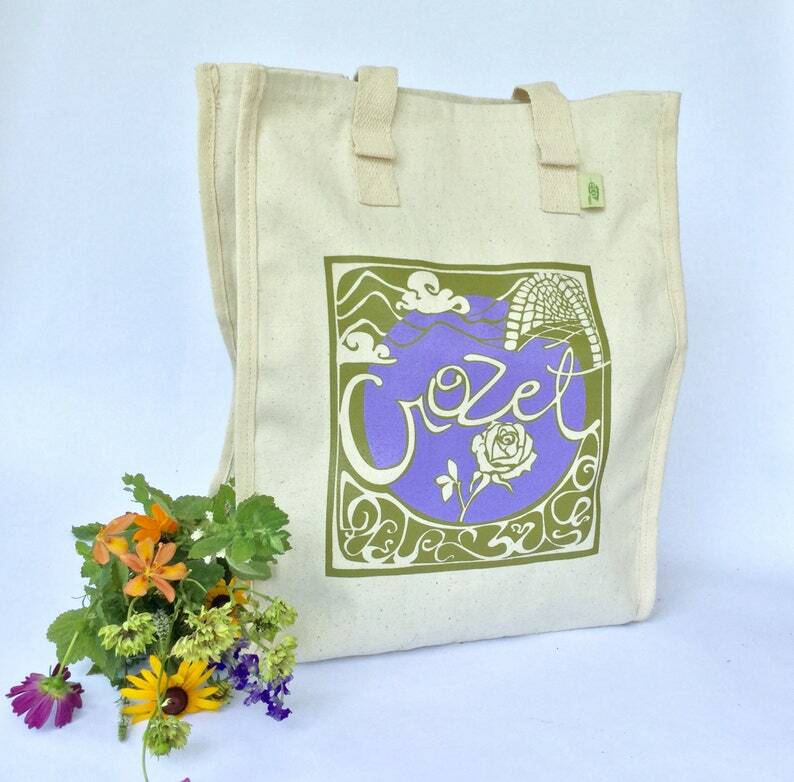 Embellished with Crozet Grow Your Own Roots image with the iconic Blue Ridge Tunnel design. Slide your pen in the holder at the top too for quick note jotting.